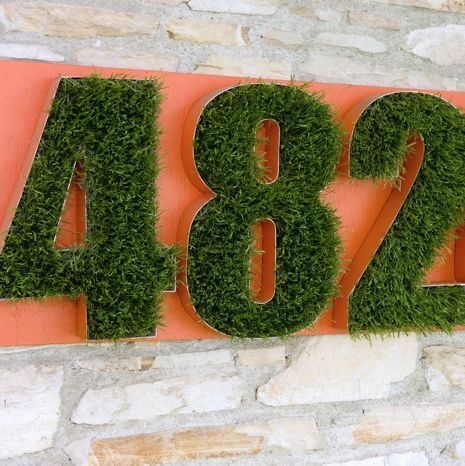 Synthetic grass instantly warms what would be a cold, austere space. 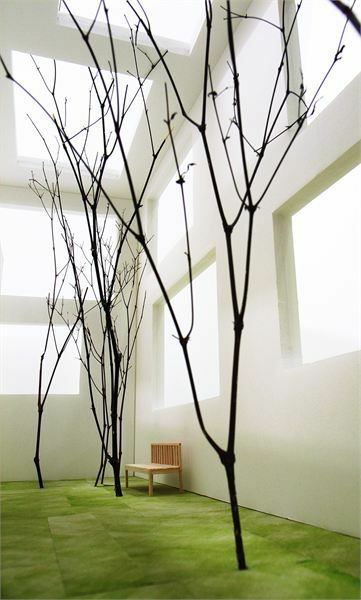 The dead trees and white walls would be harsh on their own, but the artificial turf panels bring comfort and texture. 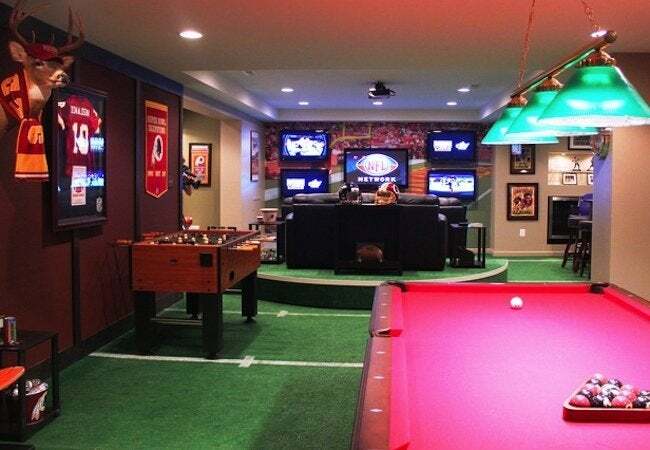 Ain't no party like a SYNLawn party cause a SYNLawn party has a 15 Year Warranty. 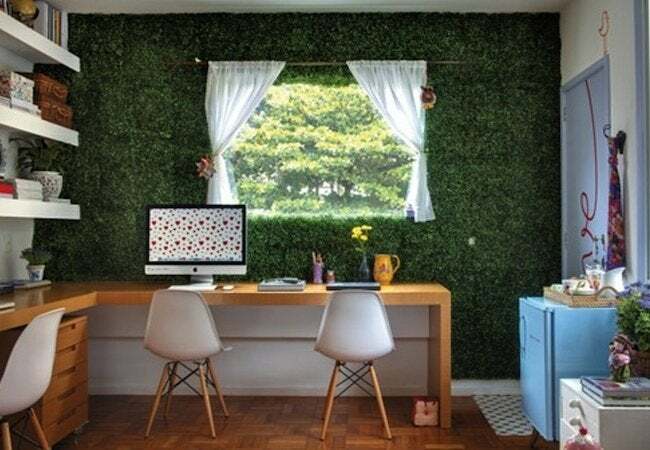 In addition to its warmth, its pleasant green-ness is also a nice attribute, making for a nice way to deliver a message. 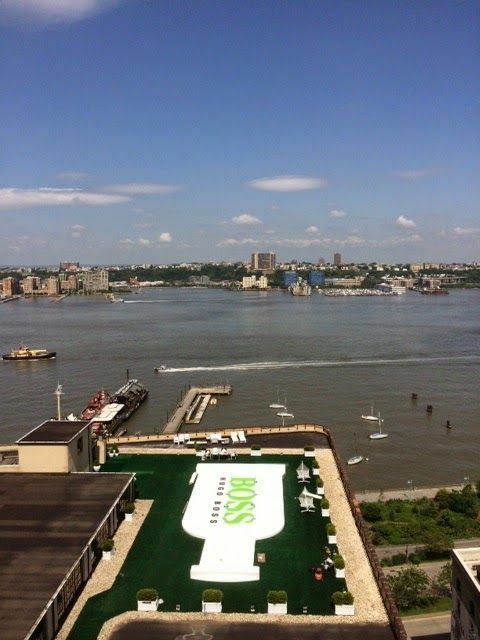 From SYNLawn New York - SYNLawn synthetic grass frames this rooftop advertisement for Hugo Boss quite nicely. The premiere of Snow White & The Huntsman went with a more 'forest' look for its red carpet. The film might've gotten a mediocre 49% score on Rotten Tomatoes, but that beautiful turf underfoot gets 100% in our hearts. 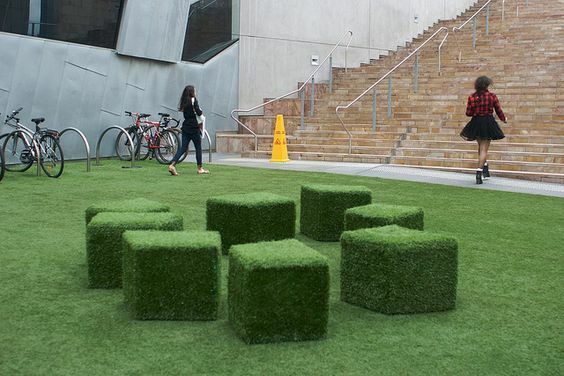 These artificial turf-covered boxes, loosely arranged in a circle, promote a comfy, green space that promotes gathering and collaboration. 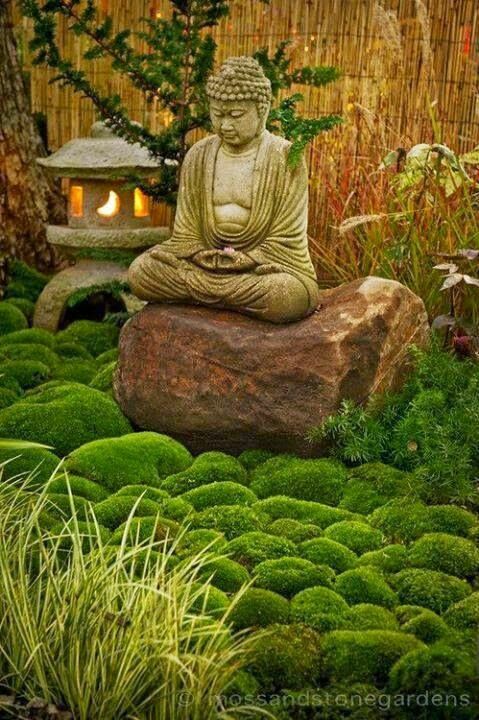 Wrap the large rocks in your garden with turf! It certainly creates a strong statement: invoking a roaring creek while maintaining a natural sense of peace and serenity. 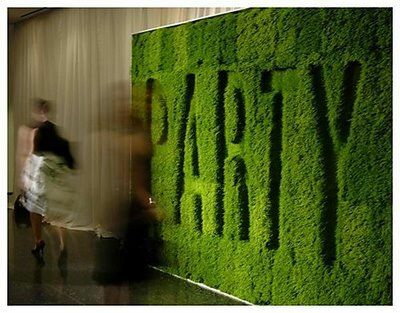 All of the beauty of a vertical grass wall, without the bugs, watering, or the fact that this is just about impossible with real grass. 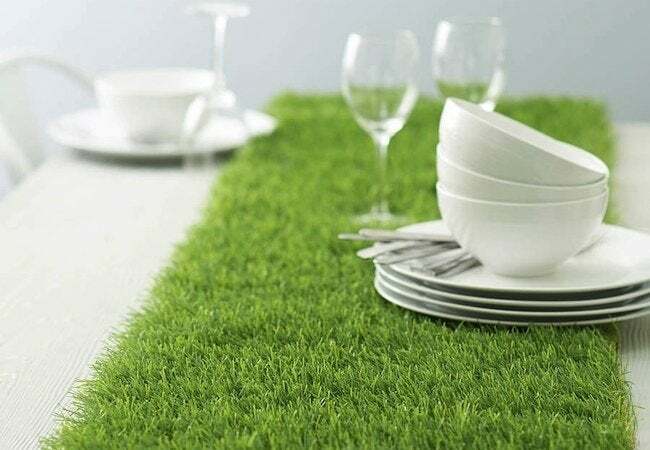 Spend some time cleaning up the edges of a thin strip of previously unusable turf and you have a beautiful table runner with which to serve your latest farm-to-table feast. Upcycling at its finest! 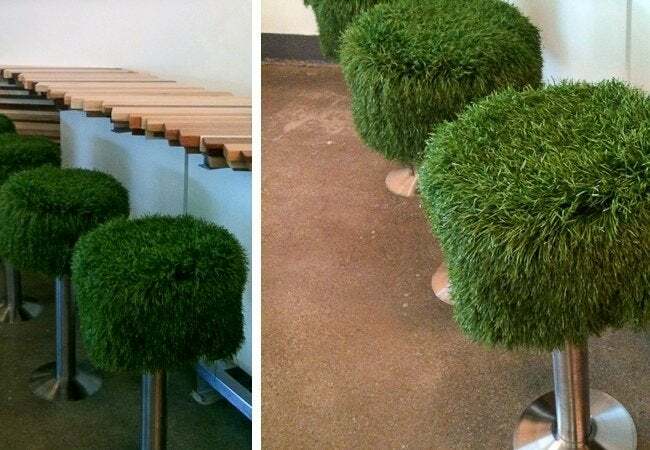 Take a load off on one of these puffy, turf covered bar stools! Fun, funky, and comfortable! 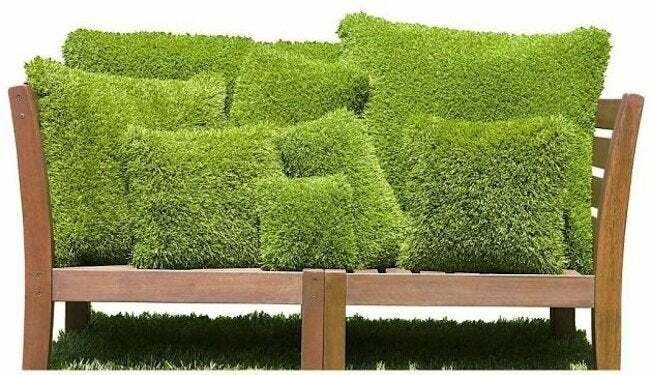 Cover some drab outdoor pillows with synthetic grass and you have an instant conversation starter. The popularity of in-home solitude retreats is increasing, and with it a need to create an area that immediately serves up comfort. Enter SYNLawn to deliver that comfort. 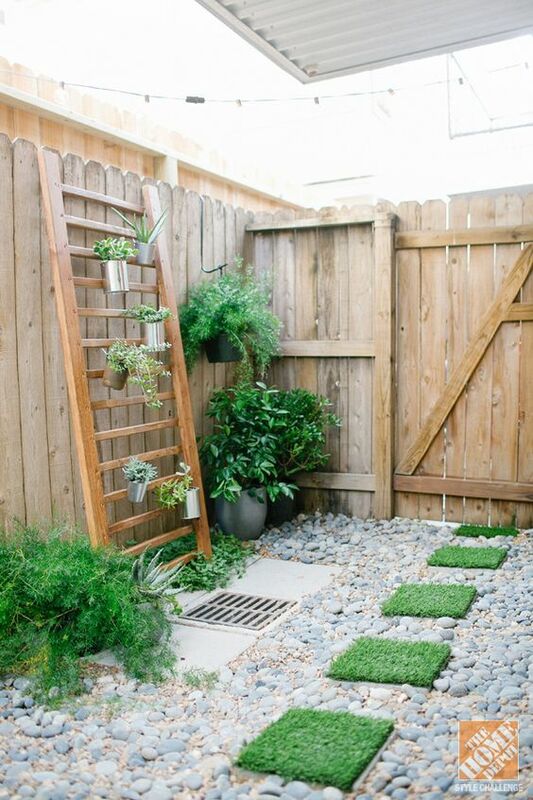 We typically install the opposite of the below, pavers in artificial grass, but we're digging this reversal! The turf pops nicely against the grass and complements the living plants, turning what was once most likely a muddy side yard into an attractive through-way. Ready to turf some things up? Follow us on Facebook and Instagram to see inspiration, the latest projects we're working on here in Hawaii, and more. Mahalo! More on these images can be found on our Pinterest.